It was a very active market day Thursday, with all the major indices ticking up by more than 1 percent, breaking a losing streak that lasted a week. In this post we gave a selection of the biggest winners which helped the markets move higher. However, since the market didn’t jump 15 percent in one day, that means there were some losers in trading. Here is a short list of the most noteworthy sliders. 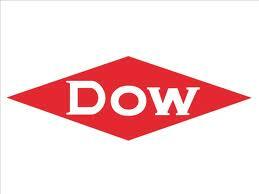 The Dow Chemical Company (NYSE:DOW) dropped more than 3.5 percent to below $29.25 a share after reporting quarterly profits that were lower than expected and noted that worldwide demand for plastics, chlorine and electronic parts fell off a cliff. Zynga (NASDAQ:ZNGA), maker and provider of various online and social-media games (most notably on Facebook), was down a whopping 37 percent to just above $3.15 a share after its severely cut its overall 2012 outlook and its quarterly report badly missed projections. Analysts say things might not get better soon, as Facebook’s recent changes have made it much harder for users to access “FarmVille” and other once-popular Facebook games. Facebook (NASDAQ:FB) was taking an 8.5-percent hit to less than $27 a share – this even before the company’s first-ever qurterly report as a publicly traded company. Some were waiting by the sidelines for the report, while others were playing options on the guess that Facebook is finding its price point after its $35 IPO in May. Medical-technology manufacturer Hill-Rom Holdings (NYSE:HRC) dropped more than 18 percent to less than $26 a share after missing quarterly earnings estimates Wednesday and announcing the acquisition of privately held Aspen Surgical Products. Thanks to declining student enrollment, national for-profit education chain ITT Educcational Services Inc. (NYSE:ESI), also known as ITT Tech, saw its stock drop more than 15 percent to less than $43 a share after its quarterly earnings missed expectations.